Tricky has come here to spend the rest of her days as a very generous offer from Marilou and Richie Webb. We could not be happier to have this doe here. 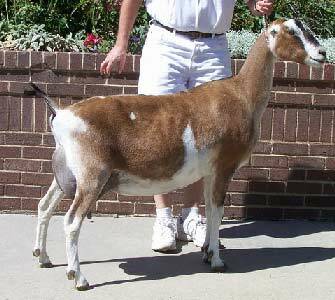 She is the dam to one of my most favorite does SGCH South-Fork Sweet Taffy 4*M. She is also the dam to our buck Gundsynd. We hope to maybe get a doe kid or two from Tricky before we have to retire her from being a brood doe. 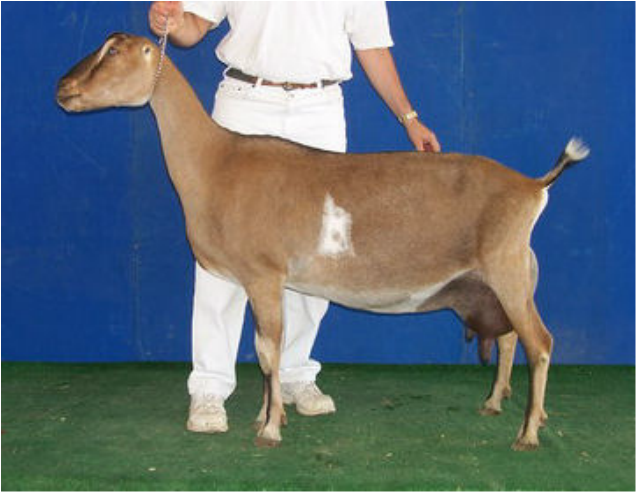 "Tricky is a very tall, long and level doe, very similar in type to her dam, Charity. She stands on strong feet and legs and has a beautiful udder that is high in the rear with a smoothly blended, well-extended fore. And does she milk! 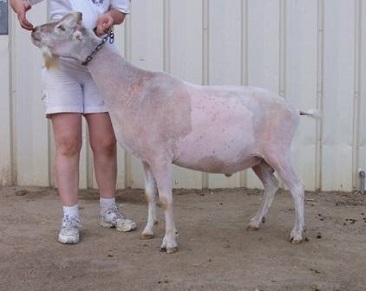 Tricky dominated the show ring as a two year old easily finishing her championship her first 3 times out. . She was 4th place Yearling Milker at the 2007 National Show and tied for Reserve All American Junior Kid with her 1/2 sister Breezy in 2006. 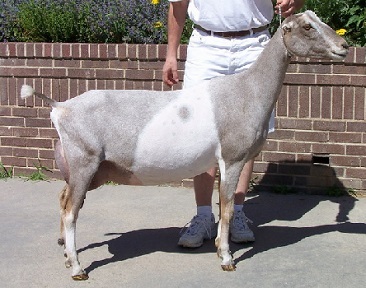 Her genetic full sister, GCH South Fork Sweet Trixie, was 3rd place 3 year old with 2nd udder at the 2010 National Show." Doe kids: $ 550 Buck kids: $550 No reservations will be taken kid's will be posted for sale if available.